Yes, but where's his death certificate? - If you believe that the death of Osama Bin Laden has ended terrorism, then you probably also believe that the election of Barack Obama has ended racism in the United States. - As much as I would like our soldiers to come home, I am also not naive enough to believe that a war that should not have been started will so easily end with a simple departure. Especially now. Be on your guard. It's a good thing those threat levels were changed recently. We might just be needing them. - Bin Laden was allegedly buried at sea because no one wanted him. That is, Pakistan couldn't take him back because that would probably look worse than this already does. For the record, Bin Laden probably built his million dollar mansion there when General Musharraf was in charge. - Side note: Megatron was also buried at sea, and look what happened to him. - Who gets the $25 million bounty? - I am so happy that Bin Laden's death occured on Obama's watch. It will aid, at least superfluously, in his struggles for acceptance among some. - Of course, the conspiracy theorists are already bouncing on this one, and rightly so. The events surrounding this do sound pretty fishy and conveeeeenient. An administration that has had to deal with so much doubt and conspiracy ought to have covered all aspects to minimize questions. - It certainly helped Wag the Dog turn the public eye to some of those more important presidential issues that presidents are supposed to be dealing with instead of having to waste time on producing birth certificates. Obama apparently hurt Donald Trump's feelings when he mocked him this past weekend at a White House dinner. Of course, Trump could easily turn this around. 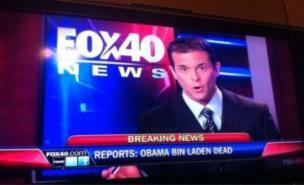 Afterall, have we seen Bin Laden's death certificate? 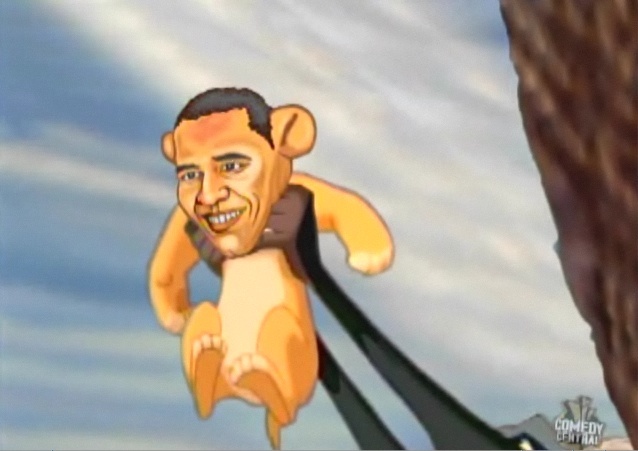 Personally, I feel that putting someone else down to raise yourself up is poor behaviour, especially for a leader of any kind, but I think Obama deserves this one and I am impressed that he took it and ran like a mofo.